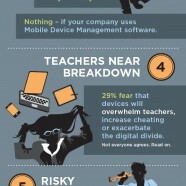 Are you familiar with BYOD that stands for “Bring Your Own Device”? It’s a trend having fans and haters as most of new things happening. Read some statistics of reasoning for both sides.